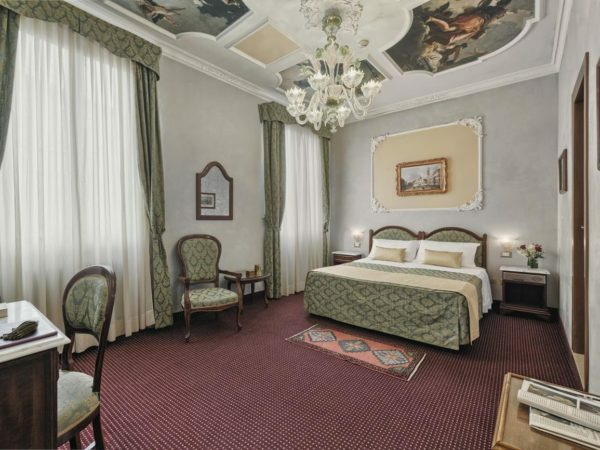 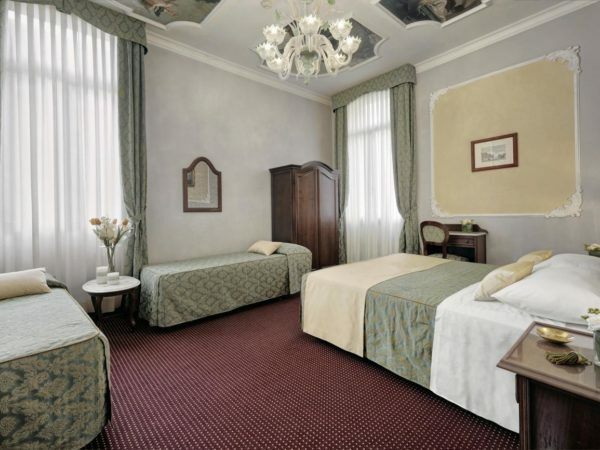 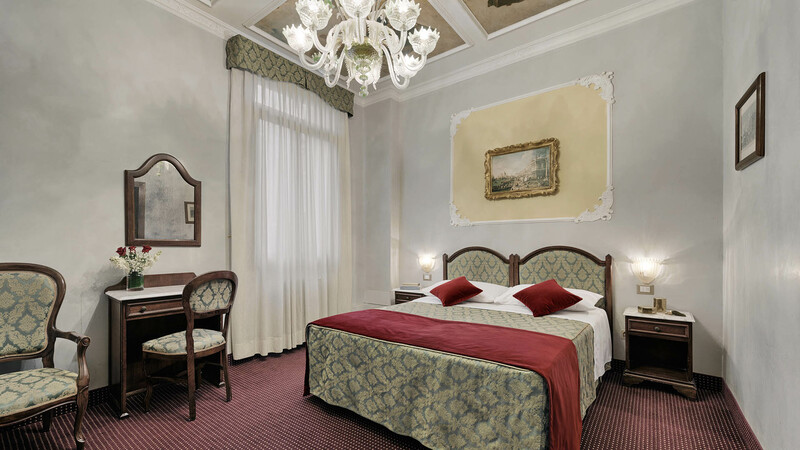 The hotel offers a range of accommodation options: from single to double superior rooms, large family rooms and also deluxe rooms with canal view, for those customers who wish to enjoy the full Venetian experience. 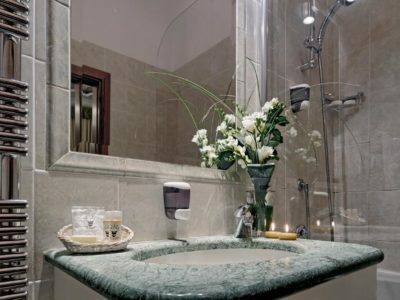 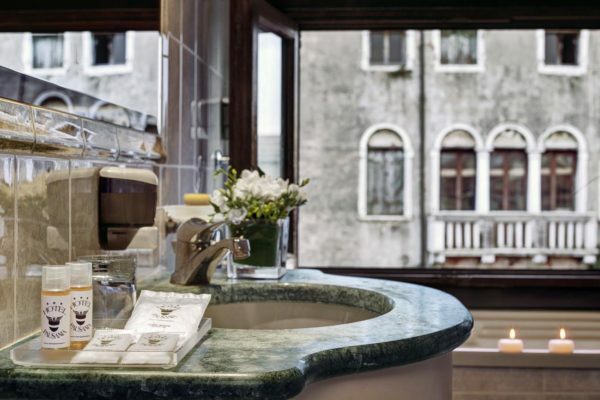 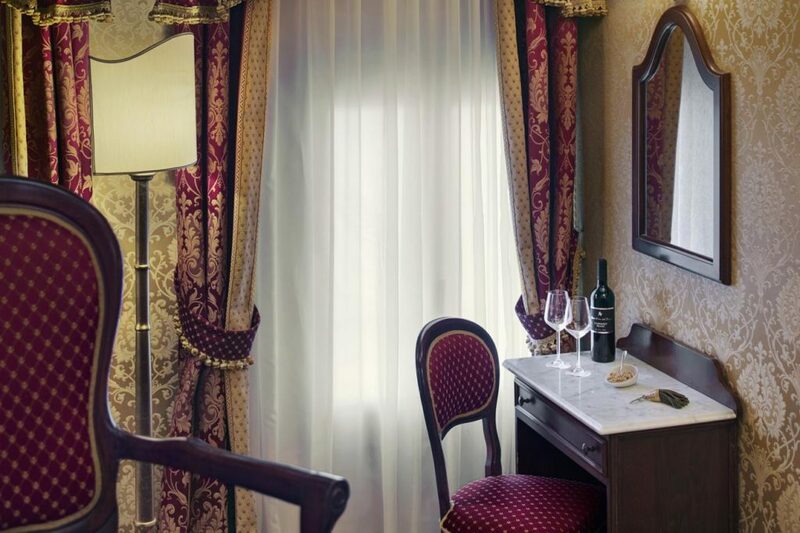 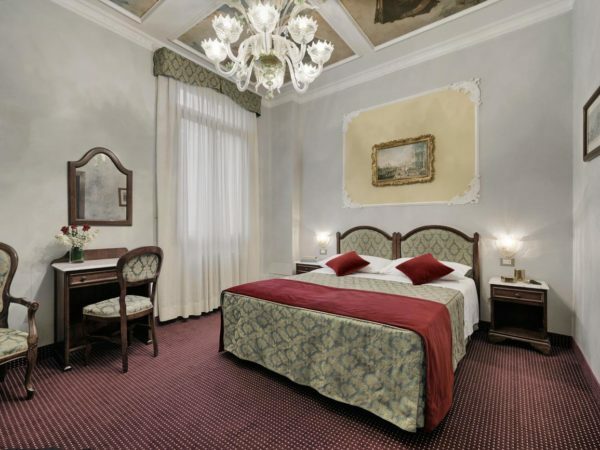 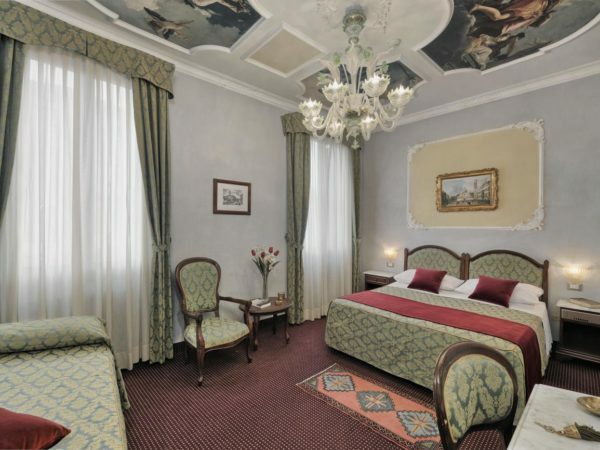 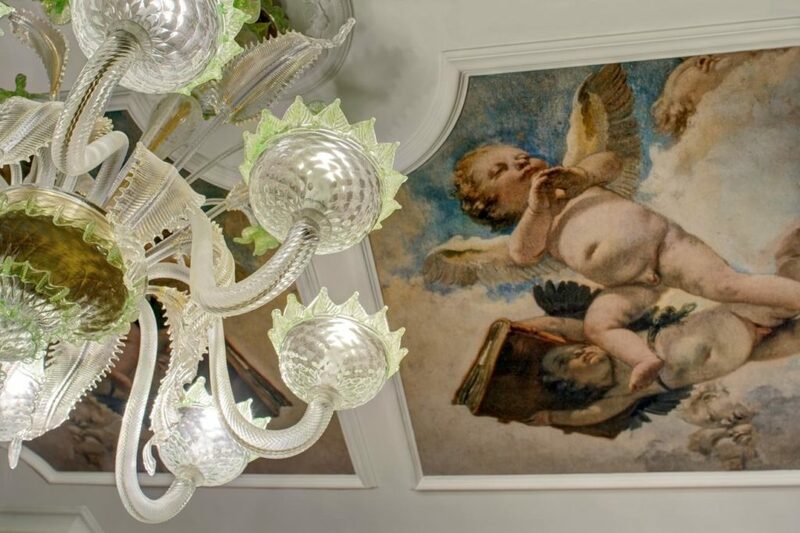 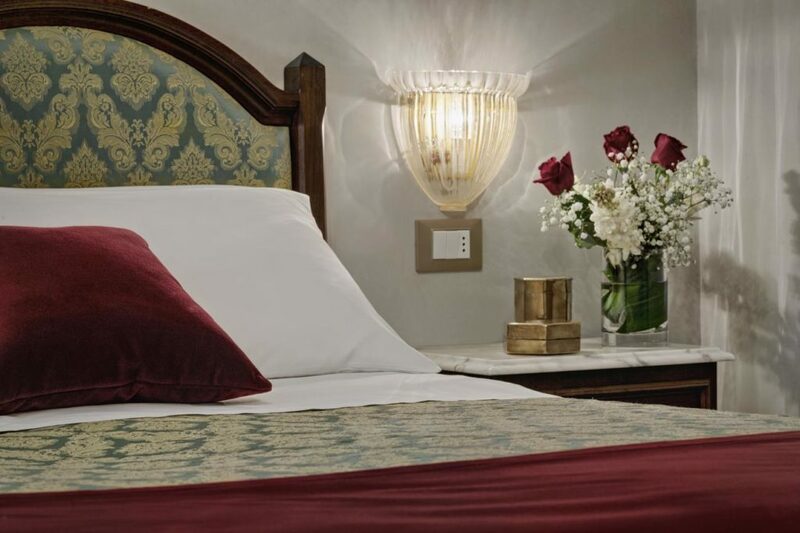 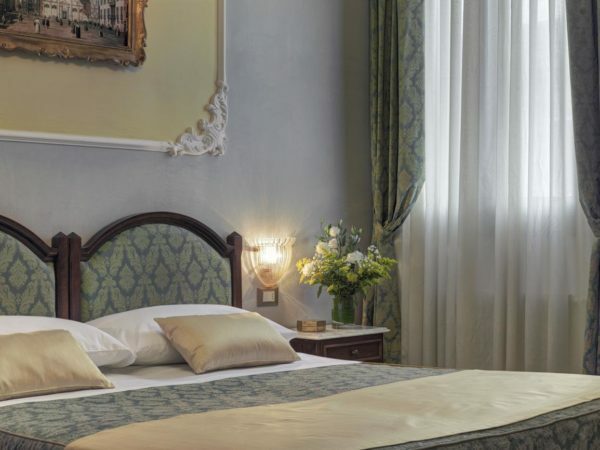 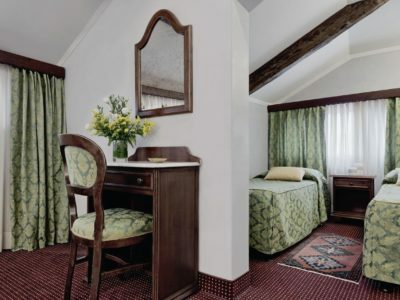 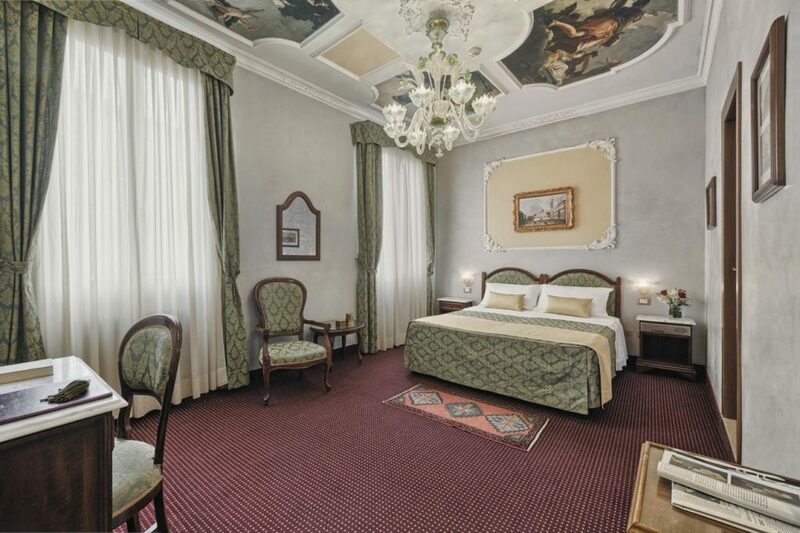 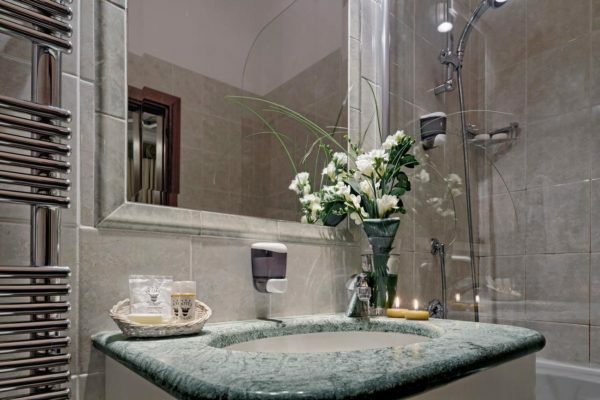 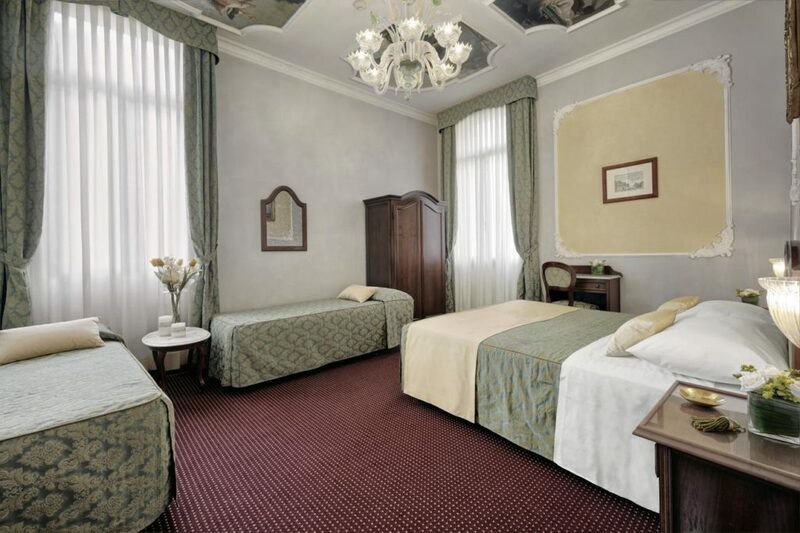 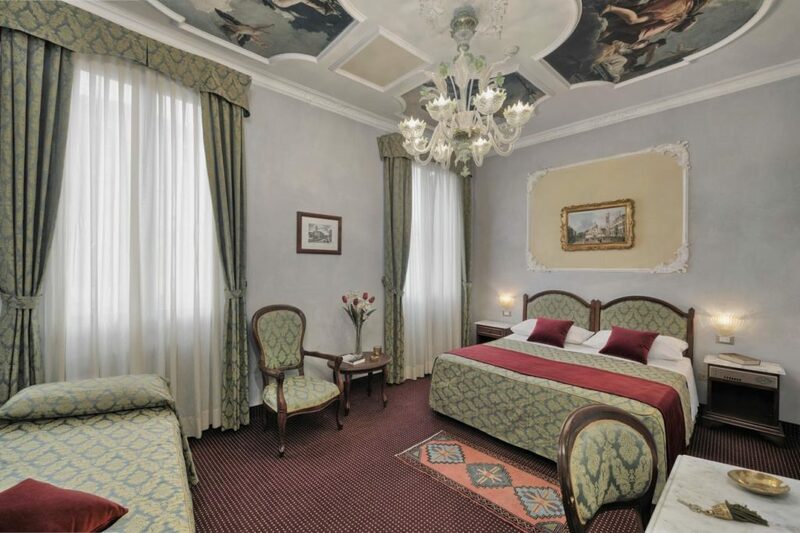 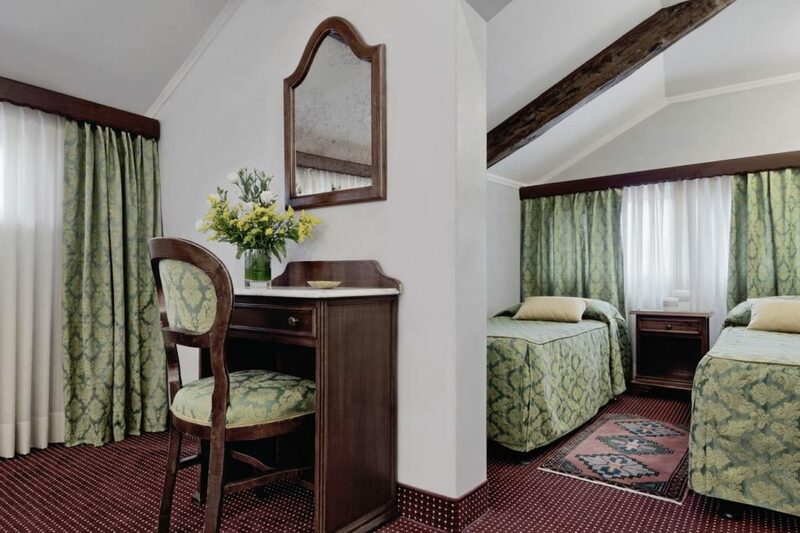 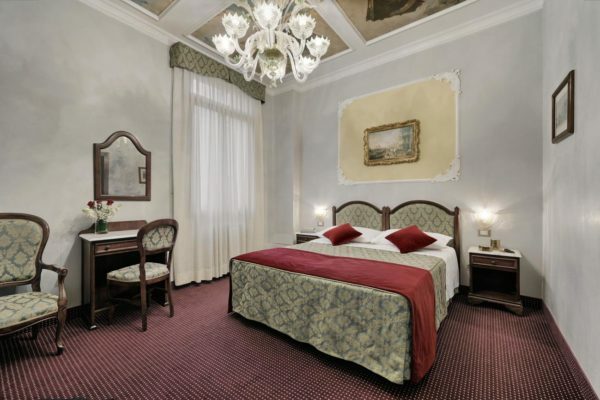 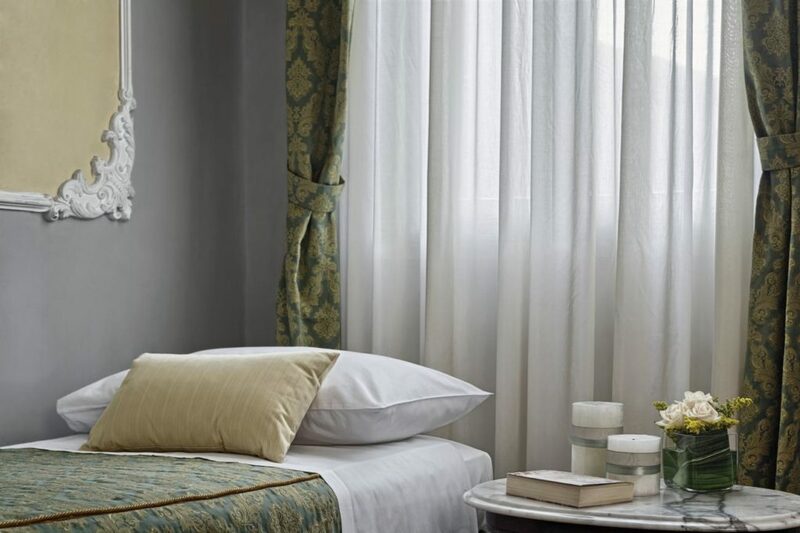 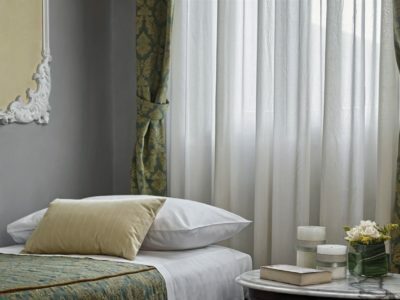 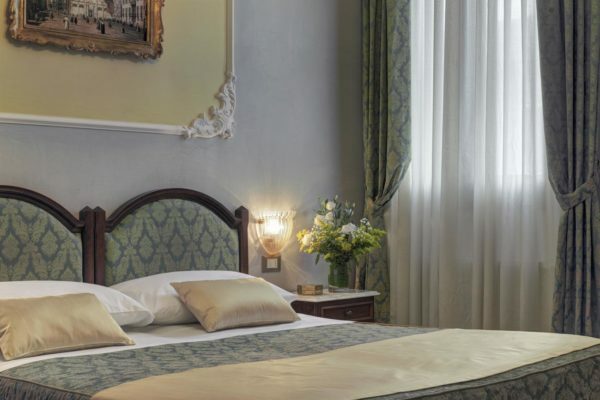 All our 24 rooms are decorated in the traditional Venetian style, with taste and sophisticated elegance. They are all equipped with private bathroom with tub / shower, hair dryer, toiletries, wardrobe, telephone, WIFI, safe, satellite TV, desk, kettle with a wide variety of teas and coffees, minibar, autonomous air conditioning and heating, a choice of double or single beds, and a free cot for your child of up to 2 years (by request at reception). 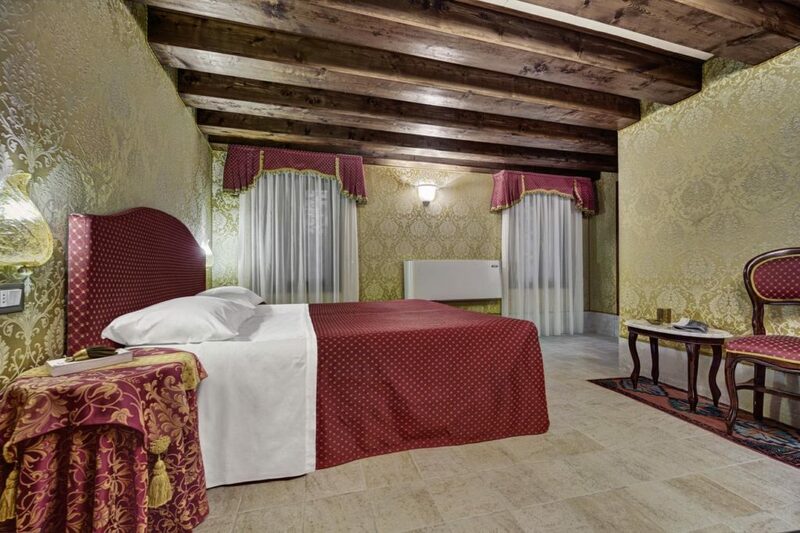 Cozy room of about 10 square meters equipped with all amenities, single bed (80 x 190 cm), and private bathroom with tub / shower, hair dryer and toiletries, wardrobe, telephone, WIFI, safe, satellite TV, desk, kettle with a wide variety of teas and coffees, minibar, self- controlled air conditioning and heating. 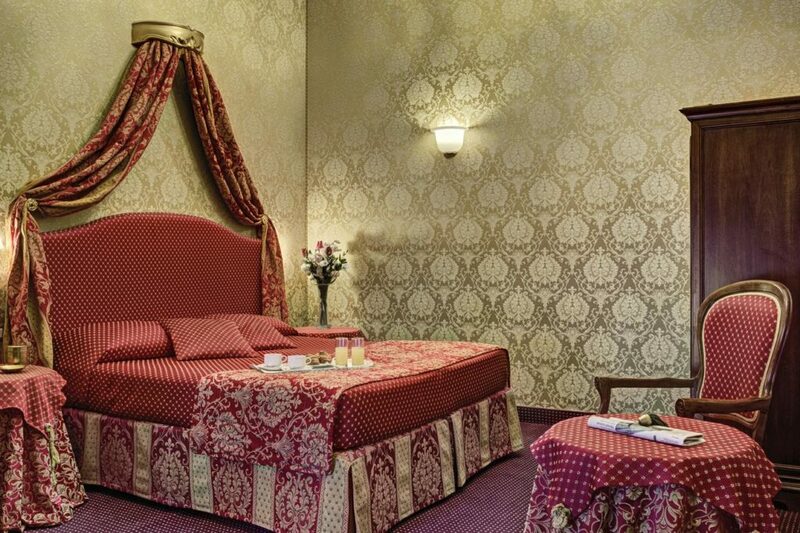 Cozy room of about 14 square meters equipped with all amenities, double bed (160 X 190 cm) or twin beds (80 X 190 cm) on request, and private bathroom with tub / shower, hair dryer and toiletries, wardrobe, telephone, WIFI, safe, satellite TV, desk, kettle with a wide variety of teas and coffees, minibar, self- controlled air conditioning and heating. 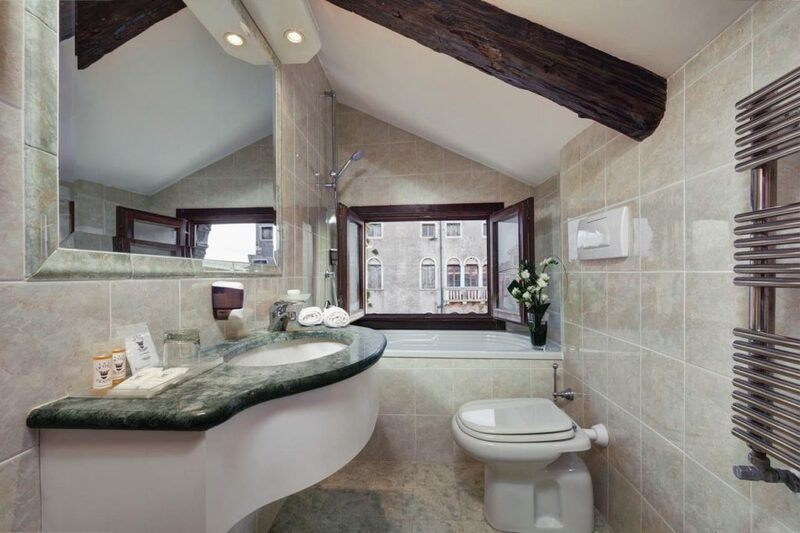 Cozy room of about 17 square meters overlooking our private garden or our front courtyard with all amenities, double bed (160 X 190 cm) or twin beds (80 X 190 cm) on request, and private bathroom with tub / shower, hair dryer and toiletries, wardrobe, telephone, WIFI, safe, satellite TV, desk, kettle with a wide variety of teas and coffees, minibar, self- controlled air conditioning and heating, free cot for your child of up to 2 years upon request at the reception. 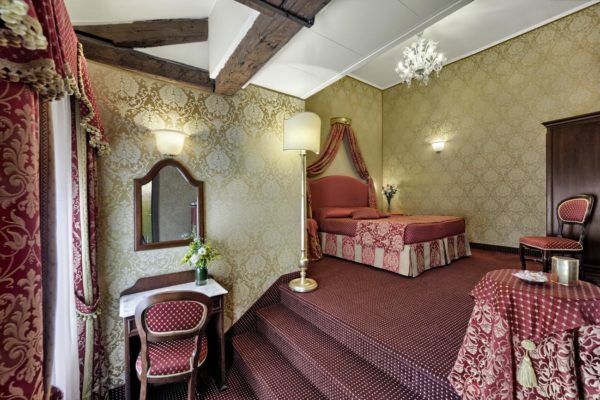 Cozy room of about 19 square meters overlooking our private garden or our front courtyard with all amenities, double bed (160 X 190 cm) and single bed (80 cm X 190) or three single beds (cm 80 X 190) on request, and private bathroom with tub / shower, hair dryer and toiletries, wardrobe, telephone, WIFI, safe, satellite TV, desk, kettle with a wide variety of teas and coffees, minibar, self-controlled air conditioning and heating, free cot for your child of up to 2 years upon request at the reception. 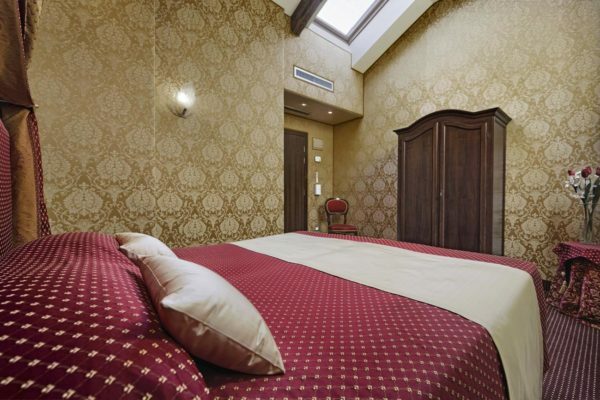 Cozy room of about 23 square meters overlooking our private garden with all amenities, double bed (160 X 190 cm) and 2 single beds (80 X 190 cm) or four separate beds (80 X 190 cm) on request, and private bathroom with tub / shower, hair dryer and toiletries, wardrobe, telephone, WIFI, safe, satellite TV, desk, kettle with a wide variety of teas and coffees, minibar, self-controlled air conditioning and heating, free cot for your child of up to 2 years upon request at the reception.